I get a little lazy when it comes to theatergoing and typically stick to areas around midtown Manhattan, rarely venturing to the outer limits of Manhattan island and almost never to the outer boroughs. However, at the recommendation of a friend, I ventured way off Broadway last weekend for two late shows. 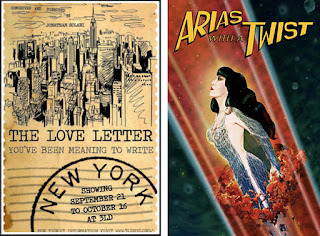 And you know what - I found a love letter and some arias. So when my friend described Love Letter, I had to see it. Similar in some ways to The Ride (you know, that huge tour bus that circles midtown), the audience sits inside the theater facing floor to ceiling windows and watches the actors who perform outside the theater on the the NYC sidewalk. Love Letter is about a heartbroken filmmaker who decides to give up on and leave New York. However, things change when he has several NYC encounters. Definitely youthful and creative. As I walked east on Grand Street, I wondered where the heck was the Abrons Art Center - in Brooklyn!! 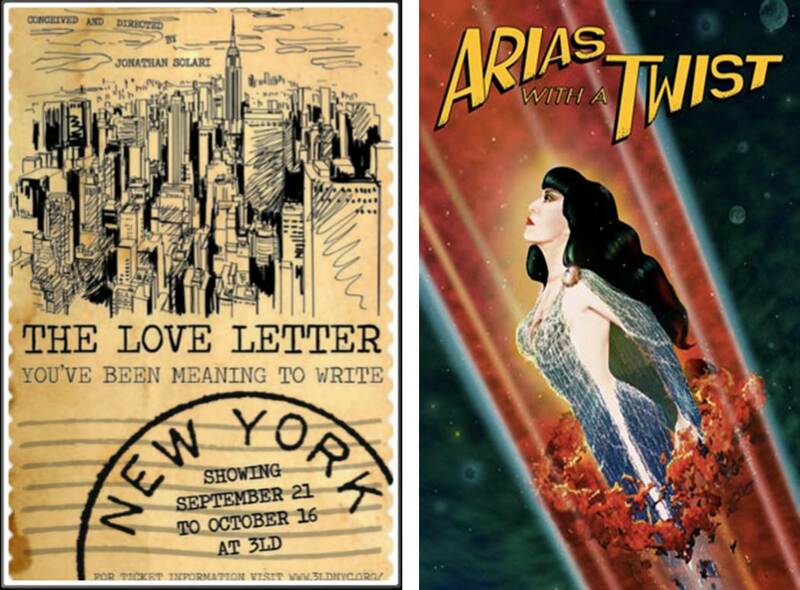 However, while the plot was somewhat weak, the throwback vibe and puppetry of Basil Twist made the walk worthwhile because Arias with a Twist was a visually exciting and campy production that was more entertaining than Broadway's Priscilla Queen of the Desert! I am so glad that I caught this production starring drag artist Joey Arias before it closed.